People with diabetes have higher than normal blood glucose, or blood sugar, levels. The digestive tract breaks down carbohydrates, sugars, and starches found in many foods, into glucose, a form of sugar that enters the bloodstream. The pancreas, through insulin, regulates the amount of glucose entering the cells of the body. Glucose that can’t be accepted by the cells is converted into fat. Type 1 Diabetes: Type 1 diabetes typically occurs in children and young adults, though it can appear at any age. In the past, type 1 diabetes was called juvenile diabetes or insulin-dependent diabetes mellitus. The body is deficient in insulin or can’t produce it naturally so the diabetic is dependent on prescribed insulin. Type 2 Diabetes: Type 2 diabetes develops most often in middle-aged and older people who are also overweight or obese. The disease is now becoming more common in overweight and obese children and adolescents. Most doctors will prescribe medication to regulate blood sugar and insulin production. Insulin is not commonly prescribed for type 2 diabetics. Physical inactivity and obesity are strongly associated with the development of type 2 diabetes. About 80 percent of people with type 2 diabetes are overweight or obese. Type 2 is not genetic, but the eating patterns may be passed on through family habits. An imbalance between caloric intake and the number of calories burned (physical activity) lead to overweight and obesity. It’is common in people with type 2 diabetes. Central obesity, in which a person has excess abdominal fat, is a major risk factor not only for type 2 diabetes but also for heart and blood vessel disease, also called cardiovascular disease (CVD). This excess belly fat produces hormones and other substances that can cause harmful, chronic effects in the body such as damage to blood vessels. Measuring your waist is a quick way of assessing your diabetes risk. This is a measure of abdominal obesity, which is a particularly high-risk form of obesity. Measure your actual waistline (not your pant size). It should be 1/2 or less than your height in inches. Women have a higher risk of developing type 2 diabetes if their waist measures 31.5 inches or more. Asian men with a waist size of 35 inches or more have a higher risk, as do white or black men with a waist size of 94cm (37 inches) or more. Making a few lifestyle changes can dramatically lower the chances of developing type 2 diabetes. They can also lower the chances of developing heart disease and other life taking cancers. The same changes may reverse type 2 diabetes and prevent prediabetes from developing into type 2. 1. Control Your Weight: Being overweight increases the chances of developing type 2 diabetes by seven-fold. Being obese makes you 20 to 40 times more likely to develop diabetes than someone with a healthy weight. 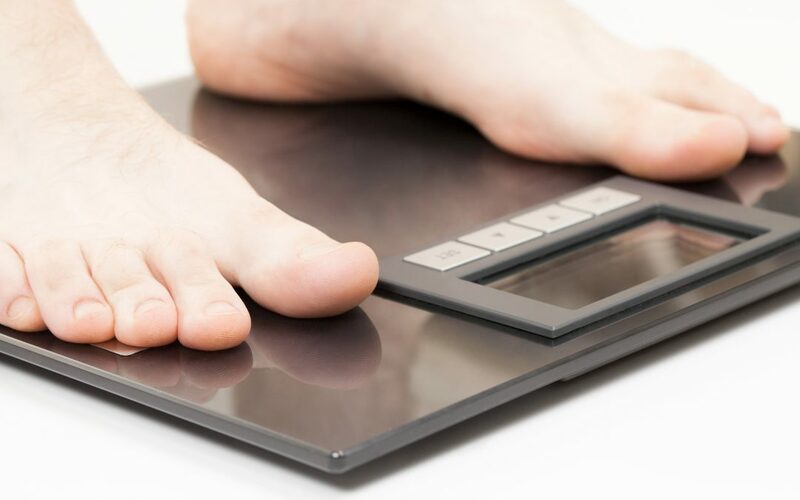 Losing weight can help if your weight is above the healthy weight range. Check your BMI. Losing 7 to 10 percent of your current weight can cut your chances of developing type 2 diabetes in half. 2. Get Moving and Turn Off the Television: Inactivity promotes type 2 diabetes. Working your muscles more often and making them work harder improves their ability to burn glucose. This puts less stress on your insulin-producing pancreas. a. Avoid refined carbohydrates and other processed foods. b. Skip the sugary drinks, and choose water, coffee, or tea instead. c. Choose good fats instead of bad fats. d. Limit red meat and avoid processed meat; choose nuts, poultry, or fish instead. If you are already diagnosed with diabetes, take actions to improve your health. Keep your body active, such as a walk every day. Choose healthy foods and supplements, and be sure to take the proper doses of any prescribed medications.